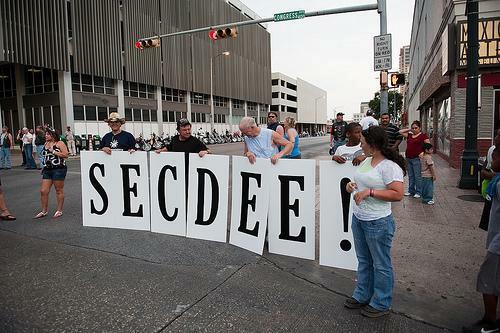 So You Think You Want to Secede, Do You? Lately the hot topic in the news is that residents from a good majority of our states have now started on-line petitions requesting secession. Specifically these petitioners are asking to “Peacefully grant the State of [state name] to withdraw from the United States of America and create its own NEW government.” When I first caught wind of this story, I laughed loud and I laughed long. Naturally my first thought was a bunch of far right tea-bag conservatives – and racists – are throwing some pretty big tantrums and being a bunch of poor losers. And most of the people who are signing these petitions probably fall into that category. However, I just read an article posted on CBS News that explains some petitions have a bit of a different angle to this whole secession deal. UPDATE Wed. November 14, 2012: I do want to add and make clear that there are no state governmental bodies or state officials creating these petitions to secede. Your state governors, senators, mayors, or anyone else involved with an official position that speaks for the state have NOT created these petitions. Anyone may easily go and create a petition. Now THAT has some substance to it, but unfortunately, those referencing this quote are misinterpreting it. The portion that states, “…the Right of the People to alter or abolish it, and institute new Government” was not intended to mean for a state to leave and start a new government but rather the right to fight for what we believe in, remove the corrupt, and renew our own government. Although, if you do want to leave the US and start your own country and government, just keep reading. Have any of these people who are signing these petitions and leading the way of this circus ever really thought about what leaving the US government entails? I’m going to keep this short as even the most addle-brained, right-wing, bible-thumping conservative should be able to catch on to this pretty quickly. If you are in a state that secedes, all usage of any entity of the US government stops. Now, that probably sounds exactly like what these people are wanting until they start to realize what all they will lose. Social Security. You know, all those years we have all paid into SSI? You cannot take it with you to your new-found land. So thank you because you’ve just made SSI a bit more comfortable for those of us who still reside in a US state. Same goes for Medicaid and Medicare. What’s that? Oh, that’s right, a lot of conservatives want those to go away, too. But many do not. Is anyone in your family, as in your parents, using one and/or the other? Then better start shopping for private insurance, or just give up health care because ObamaCare won’t be going with you either. Next… government-paid employees. Firemen, police officers, postal workers, just to name a few. They will all be left jobless. Well, technically they’ll still have their jobs – just no US Federal Government to pay them for working their job. You think they’re going to stay around for that? Hell NO! They’re going to stay right where their jobs are. And do not even pretend to think that your newly independent state will pay for all these jobs. Most states are upside-down as it is. They cannot afford to bring on the federal government employees, too. Make these all private-sector jobs? Now, that’s a possibility if you can find a buyer, or couple of buyers, who wants to bring a couple million people on to their payroll. FEMA. As much as we all complain about FEMA, and they, by far, are not perfect, any seceding state would lose FEMA. For those of you in New Jersey and New York, the worst hit by Sandy, that would all be your mess to clean up. Does your state have that kind of money? No. If they did, they wouldn’t need FEMA. UPDATE Wed. November 14, 2012: Someone commented that I don’t know the difference between state and federal government and jobs. Actually, yes, I do. And I did double-check each of the jobs I have listed above to make sure there are federal level jobs, and there are. Now, to be fair to this commenter, there are many city and state jobs as well. Police is what most people think of, and they’re right. But, there are federal level police positions as well. Additionally, it is very important to know and understand that states do receive Federal money which is used to pay for these jobs. Each state would lose their federal allowance. I think it’s best, though, to post the federal jobs website. That way, in this pretend-world of seceding, you can see what a state will lose when they leave. Click here to see a list of federal jobs. Does your state border Canada or Mexico? You’ll have to take care of border patrol, too. But I”m sure your gun-totin’ beer-belly rednecks will do that for nuttin’. Just give them some ammo and case of beer per shift and they’ll take care of those border the redneck way. Actually, you’ll probably have more people trying to get out of your new state-country rather than into it. But hey, you can write your own Constitution. So if you want to make that illegal and punishable, go for it. That may be the only way you’ll keep people around. Payroll. Ah, yes. The subject of money. Actual monetary bills, you know… currency. US money is US tender. Now, I’m still twisting this concept around in my head trying to figure out what could be used where, by whom, and so on. But even the most simplest of facts, the state that secedes will need to create their own form of money – their own monetary system. Remember Confederate money? Meh, same concept. Then that path leads into their own economy. You left the Old US, so that means you have to start your own economy. Kinda like a mini-version of Wall Street because the new monetary system will need to have an economy up and running to provide a value to their basic unit, as in a Texas dollar. Or a Georgia dollar. Need to set that exchange rate if you want to do some shopping in the old US, or anywhere for that matter. Until the dollar actually has value, it’s nothing more than funny paper. Catching on now? So rather than wasting valuable time chasing unicorns and rainbows, put your effort into what is really broken – our congress. The election last week reminded many people – one being me as I really believed that primarily the corrupt would win – at just how powerful the voting system can be. So if congress does not want to play nicely, then we need to kick them out just like we did Akins. And Mourdock. And West. And so on and so on. Next needs to be Boehner, McConnell, Cantor, Brewer (well, she’s governor, but still needs to go), and many more. If this is all the better they can spell, then they’ll never make it out there in the big bad world. Great post Ms. Michelle….very informative and right on the money!! Thanks! Well, if anything, it was something good to post about since Romney is no longer a hot topic. Hopefully he’ll get hot again when the IRS and others start auditing and sniffing around in his accounts and find proof that he most definitely was not president material. I’m not gonna hold my breath for that to happen. I might turn blue. Actually I wouldn’t be surprised either way. There’s definitely stuff there to prosecute him on. Just whether or not someone has the balls to do so. Although I’m sure that Karl Rove and the Koch Bros are not quite as protective over their little project anymore. you forgot FEMA. When Hurricane Sandy and Katrina hit if you are citizens of this country you have forgo any assistance when natural disasters hit. Oh, yeah. GOOD ONE! Thanks!! That was my first thought on another message board. It’s amazing that New Jersey was among the petitioners. My reply was: What are these new countries going to do when disaster strikes. No one replied. I added FEMA. Also, Helen, remember NO STATE is petitioning, meaning any state official. These are normal citizens, like you or I, creating these petitions. The main stream media is being over-dramatic and not making this clear in order to create mass hysteria and confusion… and keep people coming back for updates. And because many do not know the truth behind these petitions, they’ll be wondering if their state is going to leave. This has really caused a horrid frenzy and needs to stop before something horrible happens. Reactionary behavior is often hapless, bandit or outright stupid. Unless you’re pulling your hand out of a fire, reactionary is seldom intelligent. The Nazi movement in Europe during the 1930’s was reactionary. Millions died. Excellent response and information. So very true. Thanks! I don’t think you understand the difference between government and federal. State jobs, taxes, and programs would not be affected. Also as this would more than likely be a peacefully transition due to the states asking for secession are the states with oil and farm land. Yes, actually I do understand the difference between city, state and federal… which is why I looked up each of those I listed to make sure that they were indeed Federal jobs. Also, there are 44 states currently now asking to secede. Wow, you really need to do your research first. And in all actuality, the “state” in these petitions does NOT mean the government of that state. It means some citizen created that petition and other citizens are signing them. This will never happen. It can’t. Nearly all, if not all, state budgets are upside down. How the hell can they add those federal jobs to their budget? Don’t forget they have to form their own economy. 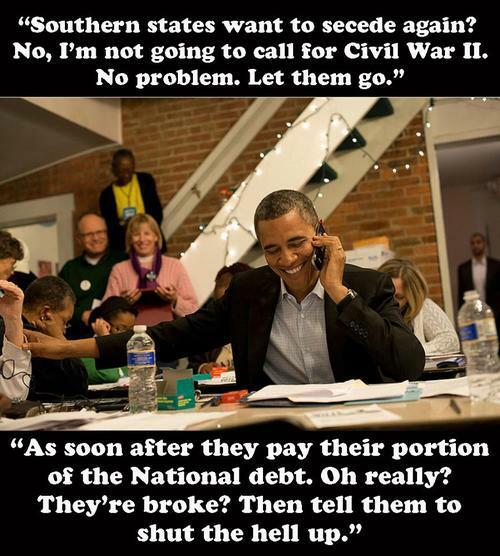 Plus, I think they need to pay their portion of the country’s debt before they leave – which will never happen. It’s pathetic. State jobs,taxes and programs certainly would be affected since the federal government allots so much to each state for these very things. That’s why when federal spending goes down, state spending goes up. Very true. I didn’t think about that. 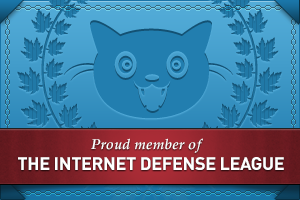 I was just thinking about federal-level jobs, so THANK YOU for this addition. It is very important to understand this. You’re very welcome. I agree this all a lot of media frenzy. I’m sure Faux News is having a field day with this but as much as I try to listen to their side, it’s just too much like nails on a blackboard. LOL.. yeah. No way can I watch it. On occasion I read something online – but even then, not very often. 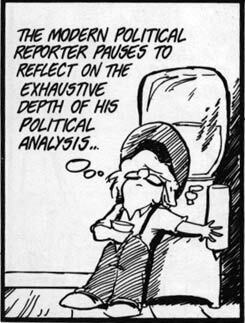 Something about reading nothing but someone babbling lies just loses it’s appeal…. I was taking all this semi-seriously. Until the report about cities petitioning to secede from the states petitioning to secede from the US. At that point it moved from simply ridiculous to absolutely ludicrous. They have? I saw Austin wants to stay with the US, but I think that means only if Texas were to secede. Are there now petitions for a city in general to secede from their state? Do these people have any brains in their heads? I don’t blame Austin. In the past Rick Perry had as much as said he’d be in favor of seceding but, now that some of the people in the state want to, he says he wants to stay in the union. I don’t blame him, NASA would probably leave since it’s national, taking a lot of jobs with it. This talk is completely ridiculous. I think these people just think that nothing will change except they just don’t have to live under the laws of the Federal Government nor pay Fed taxes anymore. If you secede, it’s like creating a whole other country. There will be thousands of out-of-state employers that will not want to deal with this crap and just pull the jobs and hire elsewhere within the “old” US. And NASA is a perfect example. Especially if Obama can get that bill passed about companies being taxed heavily when outsourcing to another country. My wife is from Canada and they have the issue with Quebec wanting out. It was really a rat’s nest of issues that everyone chose to ignore. Quebec wanted to use the currency of Canada among other things and no nation has ever been able to pull that off as it has ended in violence when tried. I certainly hope that the states seceding doesn’t go as far as the Quebec got. It also caused or inflamed a lot of existing bigotry and hatred between opposing sides and Quebec and the rest of Canada and back and forth. It was really my first experience with this kind of systemic hatred that is against all rationality. PS Your contact email server is refusing to accept email. Someone else was talking about Quebec, too. Yeah, that little bothersome need of currency rather needs to be planned. And I do just think that these people are imagining their lives won’t change. Money will still be the same. Jobs won’t go anywhere. But they just will not have to live under Fed laws nor pay Fed taxes. I’m willing to bet if everyone became completely informed about what all that is involved to secede, how much they’ll lose versus gained – which will take years to show any gain – they’ll all stop this nonsense. Oh, I emailed you. Not sure why you can’t email me. Odd. I’m getting other emails. This is great and very well written! Thank you for bringing up these valid points. I love the picture of the President on the phone. There has been some really “out-there” behavior this election cycle, for example, the woman who ran her husband over with the car because he didn’t vote. Makes me wonder if people are taking hallucinogenics and watching Fox News at the same time. As disgusted as I am by these petitioners, I’m hoping this will let off some “loser” steam (losing the election, I mean), rather than the portents of something violent. On the one hand these states wouldn’t have to pay taxes to the US. On the other hand, the US wouldn’t have to pay any money to them as well. It would be interesting to find out how much the US could save in its budget if these states were to secede. Many of the petitions are coming from states that take in more revenue from the US than they put into its coffers. We might even balance the budget! Great review of the unseen consequences, thanks. I remember Quebec’s separation talk and one thing that came out was that the native population said they would remain with Canada, thereby leaving Quebec not as a whole but cut into pieces. This hasn’t come up as an issue yet in the US.